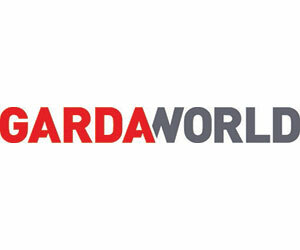 GardaWorld has been established in Nigeria since 2013. GardaWorld Nigeria Headquarters and Regional Management Team (RMT) are based out of Lagos, with easy access to the airport and ability to forward mount teams to other locations, such as Abuja and Port Harcourt where we have fully equipped Operations Rooms and secure accommodation. We also share established regional offices and locations which have resources and assets readily available to support any mission. We also make use of satellite offices from client locations across greater Nigeria which allows us to react quickly to client’s needs across the entire country. We have the capability to rapidly expand our support to the likes of Maiduguri, Sokoto, Kano, Kaduna, Katsina, Rivers, Calabar and regionally beyond. 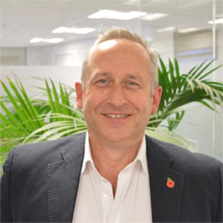 The RMT offers complete oversight and management support to all of our projects, and overseen by the Regional Director, Alexander Leslie and Regional Operations Manager Collins Njoku. In order to comply with Nigerian security sector regulations, security guarding services are delivered by our trusted local partner, Cardinal Security Services. Cardinal is a 100% Nigerian owned security company, established in 2005 and fully authorized to conduct static security services. GardaWorld is also pleased to announce that we are the first private security company in the World to be awarded ISO 18788, the origins of which lie in ANSI/ASIS PSC1: 2012 (which still remains in place and current). This is recognized as being the new standard for responsible security operations and our certification further demonstrates our commitment as a business to continue to lead the way in our industry. ISO 18788:2015 provides a framework for establishing, implementing, operating, monitoring, reviewing, maintaining and improving the management of security operations. GardaWorld security operations and management system in meeting ISO 18788 further demonstrates our ability to consistently provide services that meet our client needs and operations that are in conformance with applicable laws and human rights requirements. GardaWorld is fully registered and licensed to provide security services in Nigeria, including a country-wide agreement to draw on the support from 58 x Mobile Police (MoPol) Squadrons for the provision of armed services across all 36 states. A significant reach!